Please fill in your email address to begin the registration process. Please select from the criteria below to filter for the products you are after. 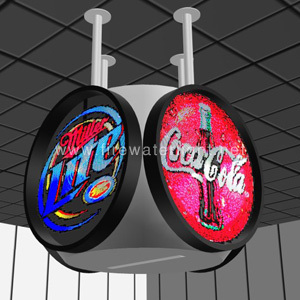 This 80cm circular display produces 21760 virtual pixels. Scheduler for queuing display at pre-determined times. The WallScreen works by persistence of vision. As the vane spins, it displays text, graphics and animations. 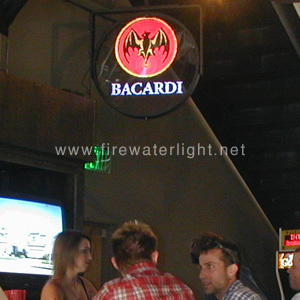 Coffee Shops, Discos, Hotels, Restaurants, Nightclubs, Promotional & Advertising Agencies, Home Users. A very effective approach to point of sale advertising. Logos, images and devices are copyright and / or registered trademarks of their respective owners.